Days before the grand opening, people were lining up for today’s sales event. Hundreds showed up this morning, the parking lot filled up quickly, and there are now cars parked along Hwy 27! 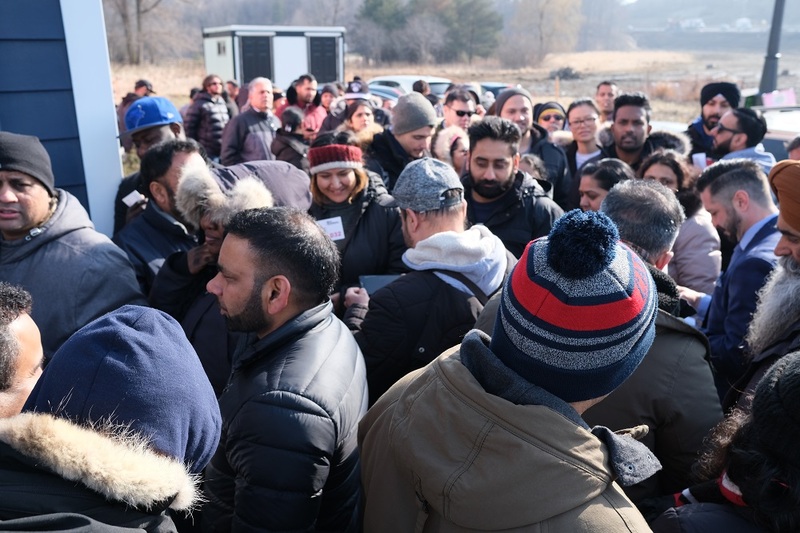 In an effort to ensure the opening was as fair as possible and operated on a first-come, first-served basis, Fieldgate handed out numbers to those in line. 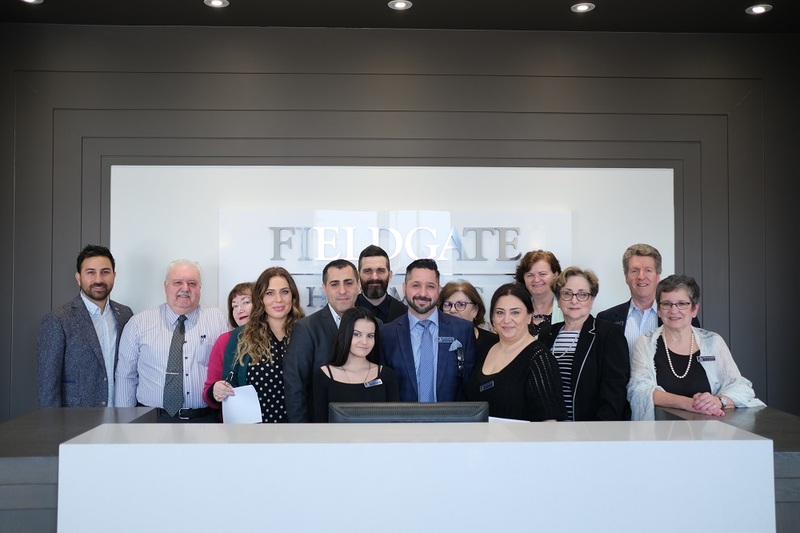 We are welcoming a few groups at a time so you can comfortably browse our selection of detached homes and be assisted by a sales representative. Based on the activity inside the sales centre, we’ll gradually welcome the next purchasers based on their numbers. The doors opened only minutes ago and a few families have already made their purchasing decision! 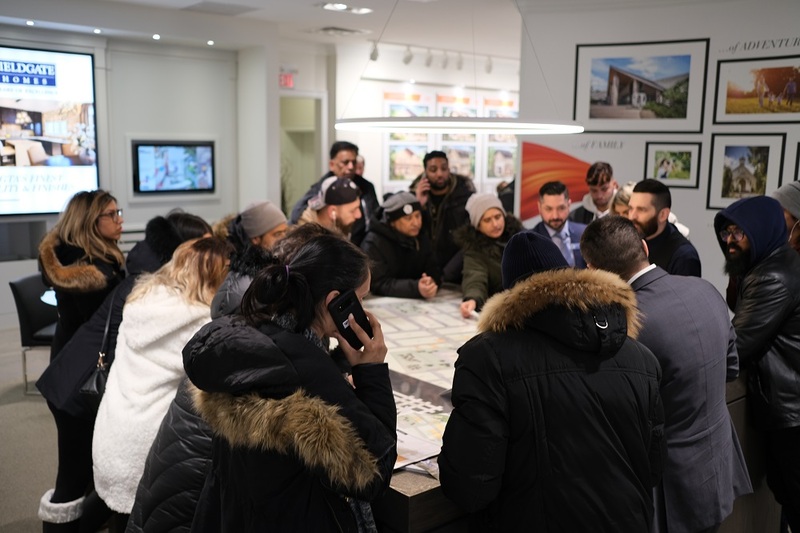 We hosted pre-purchase info sessions leading up to today’s opening, so many people in line were prepared to jump on their desired lot and model as soon as they entered the sales centre. New Kleinburg features 38’ and 44’ detached homes, and we have a limited selection of 30’ detached homes available as well. There are 3-, 4-, and 5-bedroom floor plans, so there are many options for families of all sizes! We are offering a special bonus package today, which includes $20,000 decor dollars, air conditioning, hardwood on the main floor and upper hallway, smooth ceilings on the main floor, granite countertops in the kitchen, and a glass shower & door and double sink in the master ensuite. 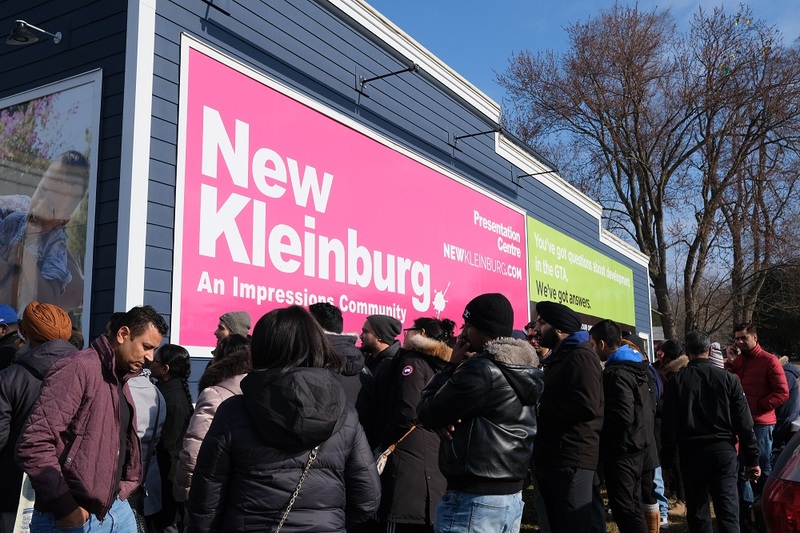 The New Kleinburg sales centre is located at Hwy 27 and Major Mackenzie Dr. West, and we’re open until 6pm tonight!